Kate Middleton and Prince William are on a reconciliation babymoon at Balmoral at Queen Elizabeth’s urging after fighting drove Princess Kate to move out of Kensington Palace and into her parents’ Bucklebury home. Never let it be said that Prince William wasn’t trying to salvage his marriage and end the rumored separation, which is more than you can say of Prince Charles. Prince William and Kate Middleton may have managed to hide it from the press, the media, and the public, but it’s becoming clearer and clearer that their marriage isn’t doing so hot. In fact, Kate Middleton has now spent several weeks away from Kensington Palace, preferring to go stay with Prince George and her parents at their Bucklebury home, miles and miles away from London and her husband. This is called separation, no? At first, everyone just assumed that Kate was trying to get better, since she did have acute morning sickness and it was understandable that she wanted to spend time with her mother. However, she’s since proved that her health is fine, especially after her three amazing public appearances. She looked healthy and glowing during each of those royal engagements, and even though Prince William was by her side during two of the appearances, Princess Kate went back to Bucklebury after it was all over. So what’s the deal? Can the perfect royal couple actually be fighting? All married couples fight, and it would be ridiculous to act like Prince William and Kate Middleton are somehow above the petty squabbles of married life. But whatever happened between them, Prince William is clearly trying to fix it. 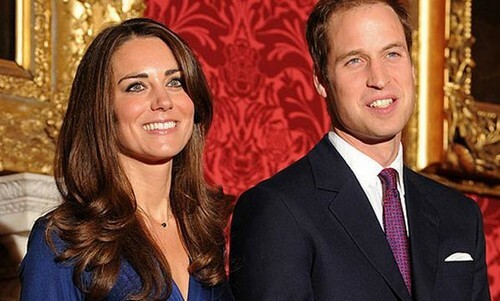 A new report from The Sun confirms that Prince William was taking Kate Middleton and Prince George to Balmoral Castle. Scotland for a quick babymoon vacation. In other words, he’s apologizing to Kate to put a stop to the fighting and trying to convince her to come back and live with him again at Kensington Palace. Taking her on vacation is his way of proving that he’s sorry, since god knows there’s nothing that woman loves more than a vacation. Anyway, Kate and Will have reportedly jetted off to Scotland to enjoy their little babymoon break, and our sources have assured CDL that the main reason for the trip is to attempt a reconciliation. Furthermore, Queen Elizabeth is said to be behind William’s wooing of his angry wife. I’m sure that Prince William will succeed – unlike Prince Charles and Princess Diana, Kate and Will seem genuinely fond of each other, and not just in a ‘we’re-stuck-together’ type of way. Update: according to GLOBE Prince William has shown his devotion and love for Kate Middleton by passing on Queen Elizabeth’s request that he become the next King in place of his father Prince Charles.